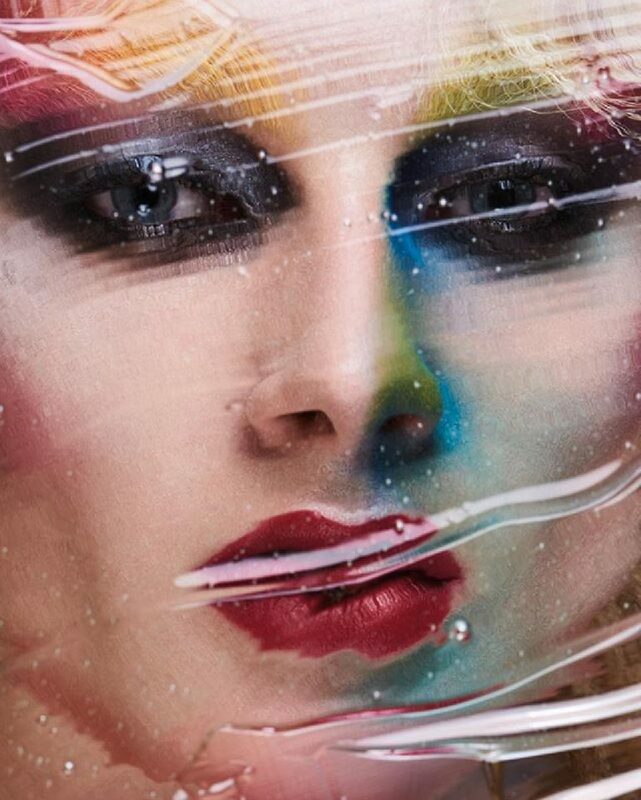 Photographer: Armin Morbach. Model(s): Vincent Beier, Vincent Beier Kaspersen. Source: Tush Magazine. Stylist: Nina Petters. 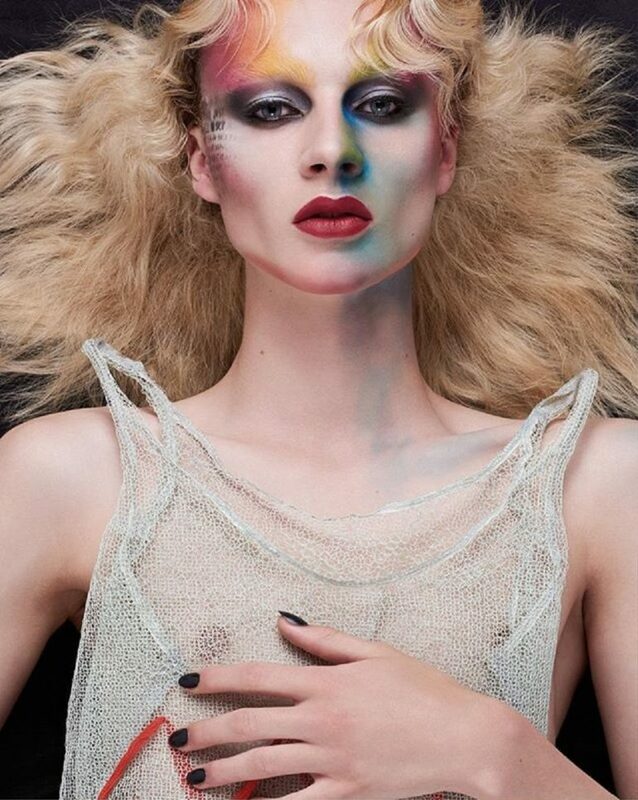 Makeup: Loni Baur. Hair: Stelli Uschi Rabe. Vincent Beier feels the fire in “Fantabulous” by Armin Morbach for Tush Magazine. Beautiful bones are built in such a way that makes us all but gasp, for here inside this wall-less world is where all hope is masked. Hidden around the corners ~ bent beneath the walls ~ are eyes inside that watch to see the beauty that befalls. For here we meet together, upon this lonesome road, to find a kind of strength that will carry this heavy load. Standing in a distant land I call for all to see, the mystic tones of melody are sounds that set my soul but free. I will not waste a moment’s time – to find that distant star. It longs for me in the moonlight hour upon a love so far. Atop a mental mountain is where I’ll wait in kind, for when we meet again my love, it’s freedom we shall find. True beauty it doth beckons us as the waning heart beguiles… Nina Petters surprises and delight with designs that bring an eclectic vision to life. Fashion speaks a universal language, from decadent to demure, each look invites us to explore. Bejeweled in a bevy of beautiful accouterments, chains/pearls hang across the chest while silver hoops are strung over the dress. A see-thru, knit tank top reminds us of the gender mix, while a cinched herringbone blazer can go either way. Vincent evokes a spirited sense, wearing a daring array of contrary couture. Prose are written over the side of the face captured with poetic grace. As pretty provides a moment to shine with light that’s dancing in the divine. Gazing upon his skin we see what could only be called facial architecture. Exquisite bones speak as Loni Baur gets lost in the beauty extreme. Black shadow surrounds the eyes, while features give rise to an otherworldly ideal. Like a proud peacock with wings open wide he stands with ferocity, ready to fly. Modernity astounds the senses, as a flaxen mask wraps around the upper face exposing this living, breathing piece of live art. Moving into a pinkish hue, a glorious color crawls up the neck leaving behind purple and blue. The tones exude a unique texture each giving the illusion of depth. Chromatic tones are cast over the complexion while pigments are applied like paint. A glow of blush flushes over the cheeks, while a poem is written in black letters down the right side of the face. Movement is the key with eye defining Makeup that plays out in show stopping form. Stelli starts with a sculpted dew that bursts out from the center, while flaxen hair flows down, moving into a more subdued state. The finale picture has arrived prompting us to stop and take notice. Beier brings a blue dew into the mix with bold locks that radiate with neon flavor. 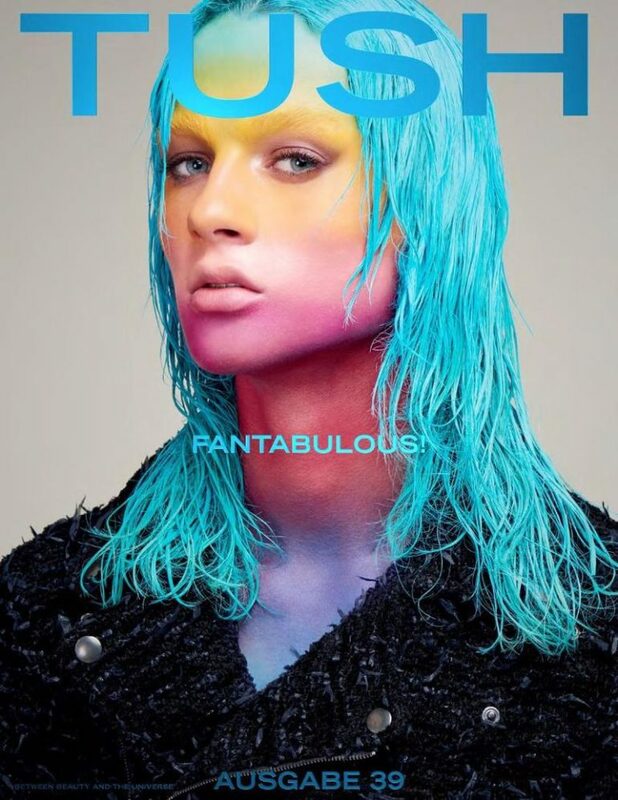 Otherworldly in its presentation “Fantabulous” in its execution, ice blue eyes hypnotize for this astounding cover.